2018. A year of consolidation and integration. A year to celebrate our 20th Anniversary. 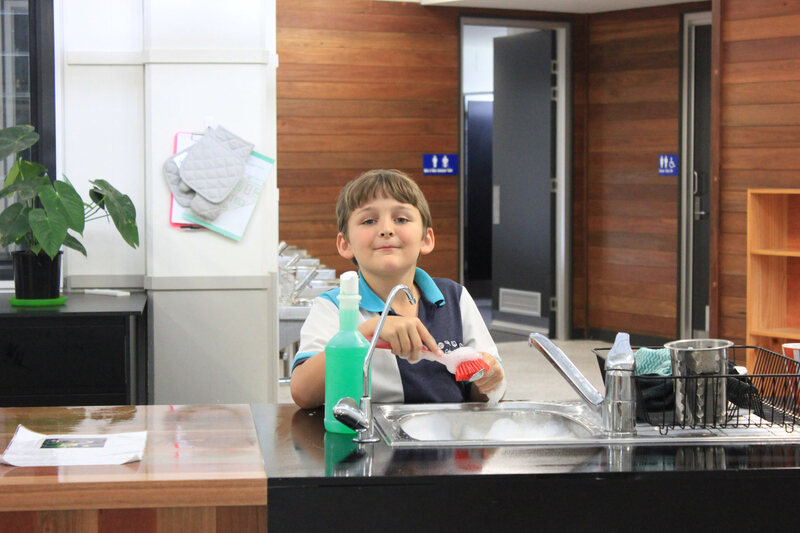 The Caboolture Montessori School started Jan 1998 in very humble surrounds with 18 students and two adults. We were guided by our passion and love of Montessori. Today 20 years later we have over 200 students, a collegial group of 40 staff and a wonderful community. Every child and every parent that has attended CMS in the last 20 years has left their imprint and together with present and future community members has added to our values and direction. All students, from our Cycle 1 (Early Childhood) cohort to our Cycle 3 seniors, will celebrate our rich history. This year we are planning celebrations to commemorate our history and journey so far and acknowledge past parents and students. We thank our present families and children for all their contributions and we are contemplating a future, in which, we will be able to offer a secondary environment. Our plan to start a Cycle 4 is becoming more tangible and real. Our research is gathering data to ensure we look at what students need and want, what parents feel comfortable in signing-up to and what we know is an educational program that meets all needs. Our secondary environment will foster entrepreneurship, responsibility and active learning for future leaders and global community members. Our educational program this year will provide our students with a strong literacy and numeracy focus, it will provide many cultural connections to extend understanding of diversity and we will include specific programs to broaden the access of extra-curricular activities for students with specific gifts. Our robotic program will take shape through the various designs, plans and execution of our talented and creative pupils. Student and staff wellbeing is on the daily agenda! Of course I sound very biased, and I recommend you come and see for yourself what CMS has to offer our bright, respectful and capable future leaders. Where to after primary schooling at CMS? Vision: To provide an exceptional Montessori environment that develops each child's potential. Mission: To prepare the school community and environment to foster our school's core values of respect, responsibility, resilience, empathy and love, so that each child develops a lifetime love of learning.